The store that sells MILANI in my area has an extremely limited selection of items to choose from. So when they happen to get something new. It catches my eye. 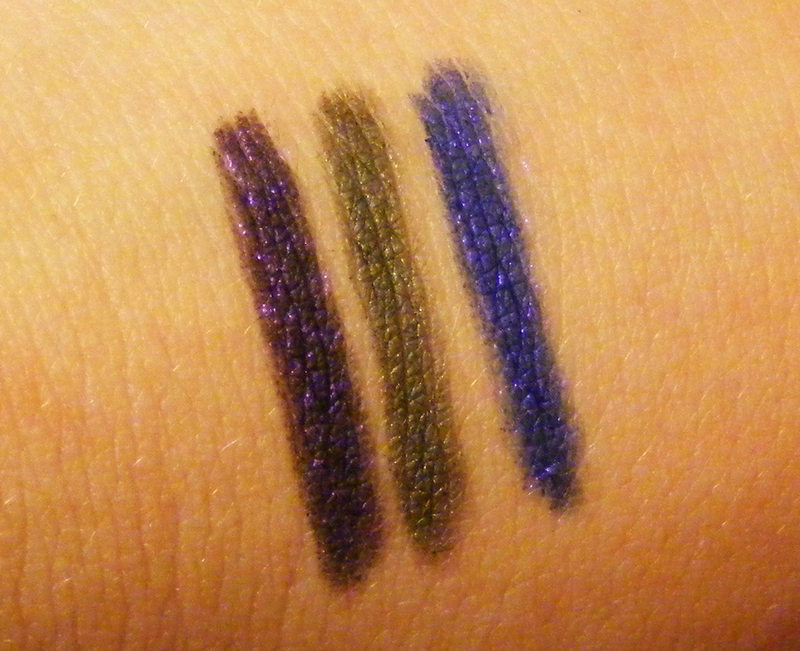 These cost me about $6.50 each, they sell for $7.99 on the MILANI website. 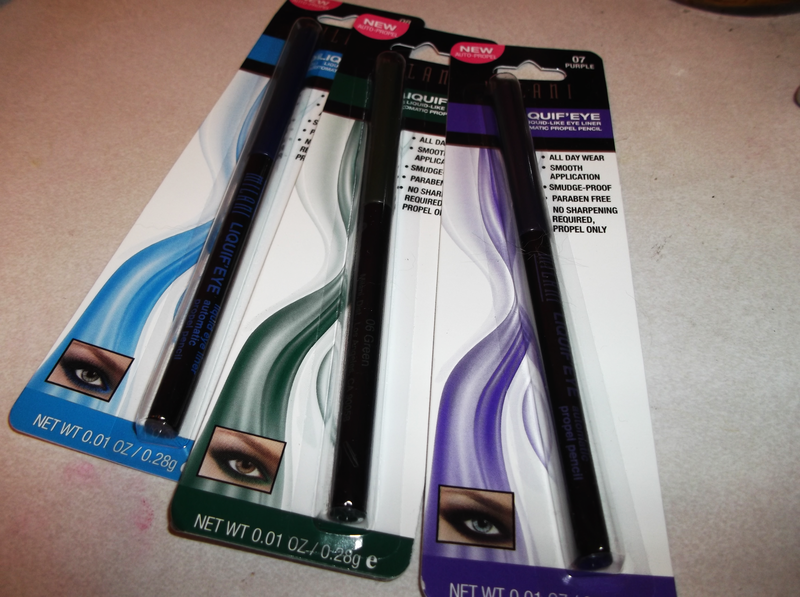 The pencils come in Green, Purple, Blue and all have a shimmer finish. They apply smooth and pigmented. They are smudge-proof as long as you make sure to let them dry fully first. Each pencil has 0.01 oz/0.28g of product, the pencil is black with a cap in the color and shimmer of the corresponding color. Not too much to say, they are excellent for $5-8 range. The colors are nice and rich. I would like to see a larger range of colors but that may be asking too much from a drug store brand. Feel free to post a question in the comments.